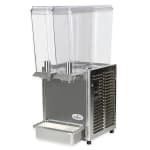 The Crathco E29-3 pre-mix cold beverage dispenser has two compact, 2.4-gallon bowls. Made of polycarbonate, the bowls are resistant to breaking and are clear so guests can see the beverages. 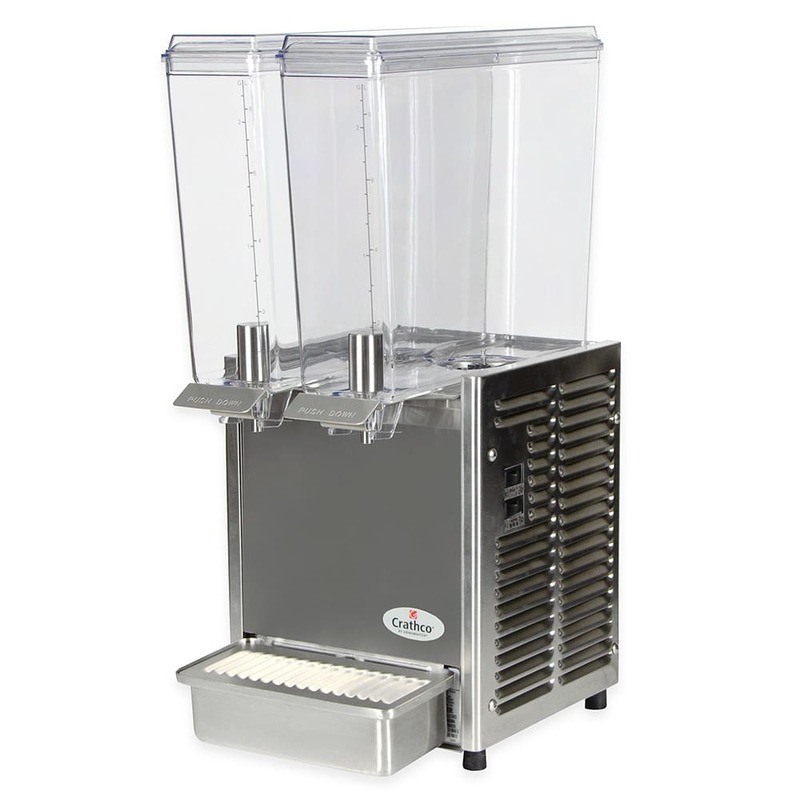 Agitators are included with this unit; they spin in the bottom of the bowls to mix the drinks. This design is perfect for tea, coffee, and high-sediment drinks like juice. 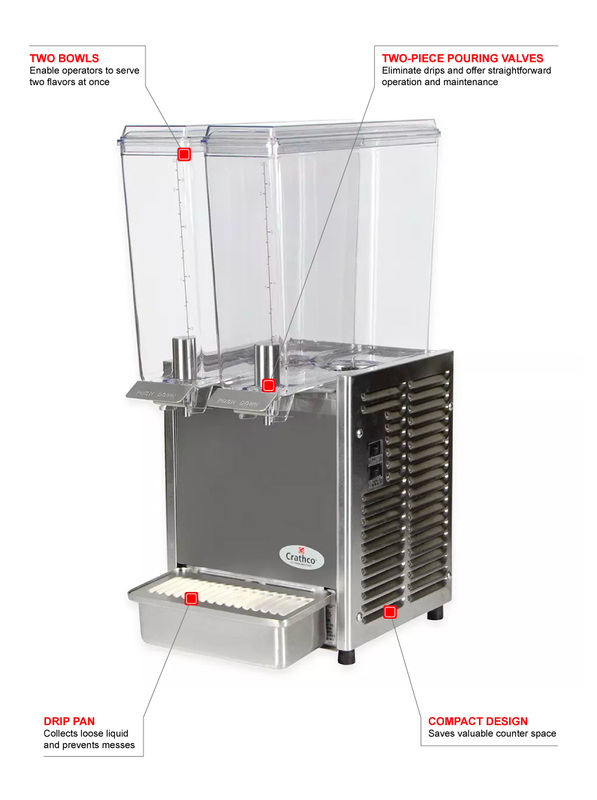 The dispensing area accommodates 8-inch-tall cups and has a large-capacity drip tray that catches leaks and spills. This Crathco E29-3 pre-mix cold drink machine has a unique evaporator and efficiently designed pump, quickly cooling drinks after the unit starts up. The dispenser keeps the beverages cold until the bowls are completely empty. Check out this article on juice dispensers if you want to read more about cold beverage machines.